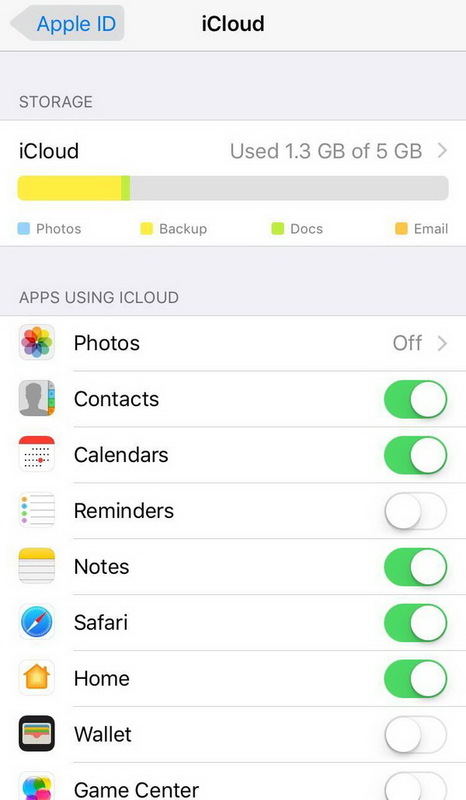 "How do I delete apps from the iCloud – There are apps appearing on the iCloud that I do not want there. I deleted them for a reason. How can I delete them from the iCloud." By walkerlr from Apple Support Communities. Sometimes we need to delete apps from iCloud so as to spare more space. Actually, apps purchased from App Store do not take up any space in your iCloud storage. It’s the data from those apps that takes up the space of your iCloud. Therefore, it actually refers to the removing app data from iCloud when you say how to delete apps from iCloud. You can manually remove app data from iCloud storage in different ways. This post would show you how to delete an app from iCloud. It’s known to all that through iPhone we could determine which apps could be backed up to iCloud. Therefore, by adjusting the iCloud backup settings we could achieve the goal to delete apps from iCloud, so as to free up space on iCloud. The below steps would show you how to delete apps from iCloud on iPhone running iOS 10.3.2. Open the "Settings" tab on the iPhone home screen. Go into the "Apple ID, iCloud, iTunes & App Store" option. Navigate to the "iCloud" option and click it. Under the "APPS USING ICLOUD", you could freely determine which app could be backed up to iCloud. Select the app you want to delete from iCloud and then slide it from green to grey. When you see it turns to be "Off", you’ve successfully deleted an app from iCloud. If you happen to get a Mac computer, you could also delete app data from iCloud on Mac computer. So, if you have the questions like "how do I delete apps from iCloud on Mac", the below guide would be helpful to you. 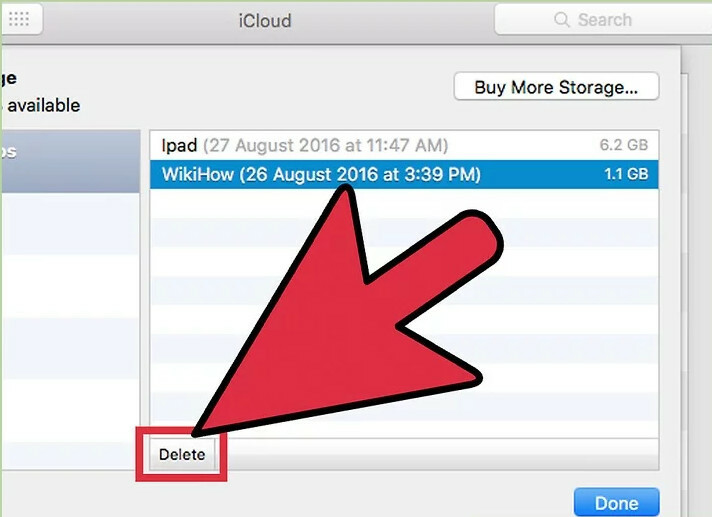 It offers a detailed guide for Mac users on how to delete an app from iCloud on Mac computer. Choose "System Preferences". You can also launch this directly from the quick launch bar. Click "Manage". If not signed in you will need to click "Sign-in" and enter your Apple ID and password. Select an app from the list. All of the stored data will display in the right panel. Select items from the data list. Click "Delete". This button is the lower left corner of the data display panel. This will delete the selected data items for that app. Alternatively, click "Delete All" if you want all data from this app removed. Open iCloud app on your Windows computer. Click "Delete". This button is the lower left corner of the data display panel. This will delete the selected data items for that app. Alternatively, click "Delete All" if you want all data from this app removed. Besides deleting apps from iCloud, you could actually delete apps on your iPhone so as to make sure that the deleted app wouldn’t be backed up to iCloud. 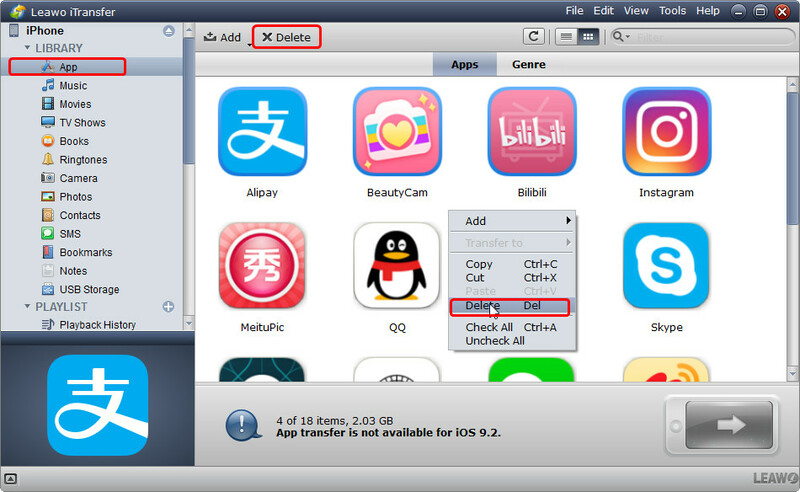 You could directly delete apps on iPhone one by one, or make use of Leawo iTransfer to delete apps in batches. Leawo iTransfer is a piece of powerful transfer software that allows users to transfer files including music, photos, videos, apps, tones, etc. between iOS devices, iTunes and PCs. It could also work as iPhone manager program that could delete data and files on your iPhone from computer, including apps. The below step-by-step guide would show you how to delete apps on iPhone from computer with Leawo iTransfer. Connect iPhone with the computer via USB cable and launch Leawo iTransfer on your computer. Your iPhone will be automatically detected in the software. Open "iPhone > Library > App" tab and then select the apps you want to delete. After selecting, you could either right click to select "Delete" option or directly click the "Delete" button to delete apps from iPhone on computer. What’s more, with Leawo iTransfer, you could transfer multiple data and files like music, video, photos, etc. from iPhone to computer. If you’re using a Mac computer, you could make use of Leawo iTransfer for Mac.